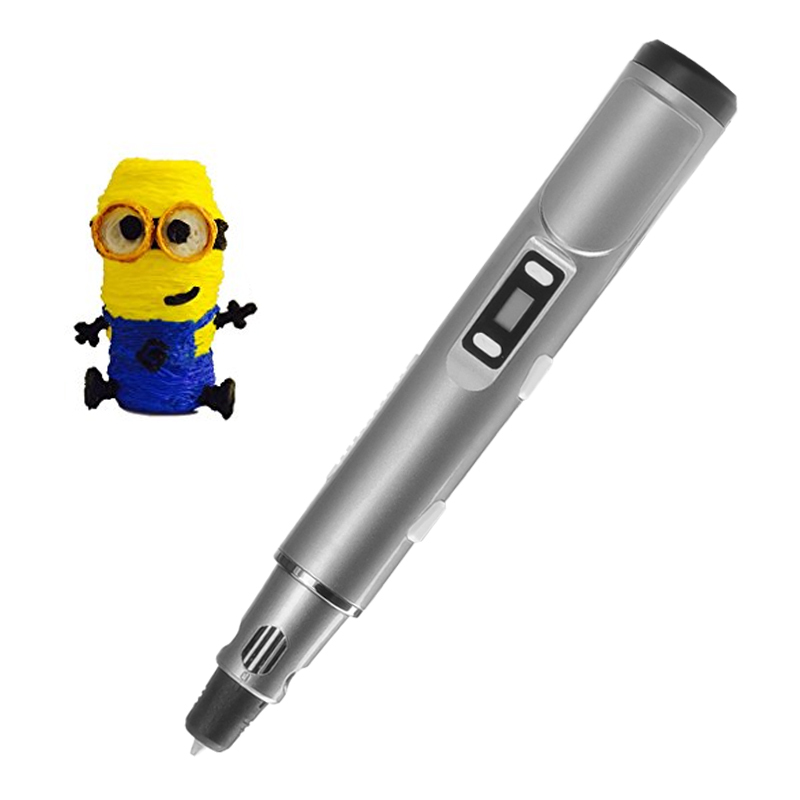 Successfully Added 3D Extrusion Printing Pen - LED Display, Drawing/Arts/Crafts, Speed and Temperature Adjustments (Gray) to your Shopping Cart. Explore more possibilities in design and modeling with the 3D modeling printing pen. With three free filaments, easy set of controls and an LED display, it’s a great gadget to inspire your creativity. Explore the art of 3D printing with this easy-to-use printing pen that comes with three free filaments for you to get creative in an instant. How does it work? The 3D printing pen uses plastic filaments that are then melted at high temperature and are pushed out of the pen’s nozzle to create plastic objects. With a little patience, pretty soon you will be able to express your artistic side and bring your ideas into the real world. The extrusion pen comes with easy controls and you will be able to adjust temperature and speed to achieve the best result. A convenient LED display will give your helpful hints and you will get the hang of the process in no time. The 3D printing pen is a great tool to use for arts and crafts, modeling projects, simple repairs, decorating and more. The 3D Stereoscopic Printing Pen comes with a 12 months warranty, brought to you by the leader in electronic devices as well as wholesale 3D printing pens..